It had been a childhood dream of Dieneke Holstein, a mother of four from the Netherlands, to travel to Africa. After hearing that Projects Abroad provided the option for families wishing to travel with their children, Dieneke did not hesitate to sign up to spend one month at the Projects Abroad Care Project in Ghana. After a brief discussion with her husband, all was cleared to see a new country and a different culture. The biggest priority for the family was to travel to a safe country. Ghana became that destination. 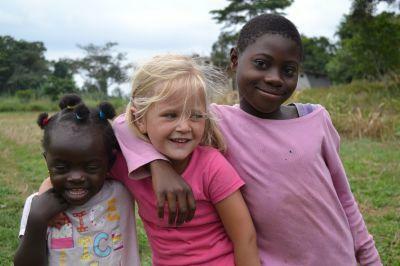 The family worked in a day care in The Hills, the placement was an important choice for Dieneke because she wanted her daughters to mix with other children. 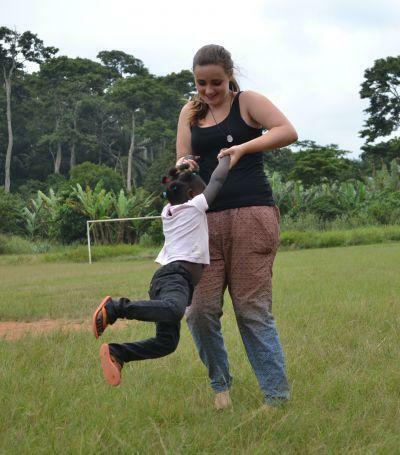 At the Adom Day Care Centre, she and her older son and family friend Meike Blankesteijn played with the children and assisted with the Day Care’s daily tasks; they changed them from their school uniforms into their casual clothes and helped the teachers with lesson planning. The family painted classrooms, played and helped the children sing songs, rhymes and poems. The family was happy about the friendly nature of the Ghanaian people and the sense of safety they had while volunteering in The Hills. After spending one month at the Projects Abroad Care Project in Ghana, the Holsteins would most certainly recommend volunteering as family.